Hay!! so you all will have noticed my blog has been a little absent for about a year and a bit or so, Honestly I found it hard to blog last year and had grown a little board and could never think about anything to blog about, The past few weeks I have been thinking and realised I really miss blogging... so hear I am and im doing a review on the tarte tartelette palette. 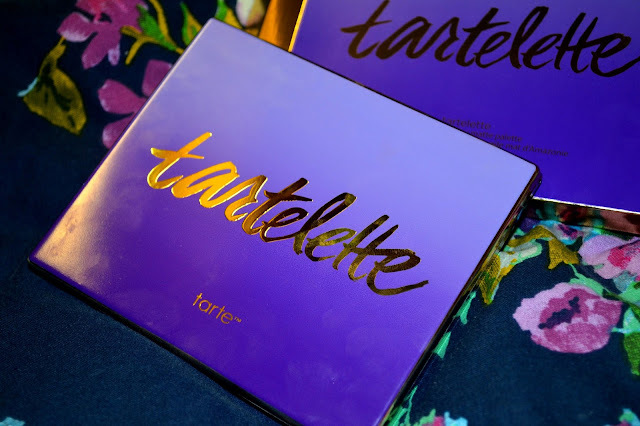 So since I have been out the blogging world for a while I have not got a clue when Tarte entered the UK world but they have and i'm so exited to be able to try these products that I have heard so much about. you can find Tarte on QVC in the UK and Sephora in the USA. So to start the review I would like to start by saying how beautiful is this packaging, it might just be me as i'm a sucker for anything purple but seriously ombray purple with gold righting = beautiful. only thing about this packaging is it loves finger prints and mine is already covered in them. 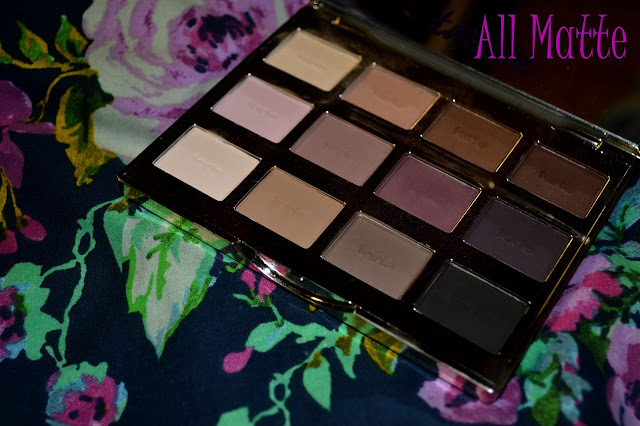 So this palette is a great size and can fit perfectly in your handbag but it contains 12 different fully matte full sized eye shadows, meaning you can create many different looks with this palette. Might I also add the mirror in this palette is a supper good size. 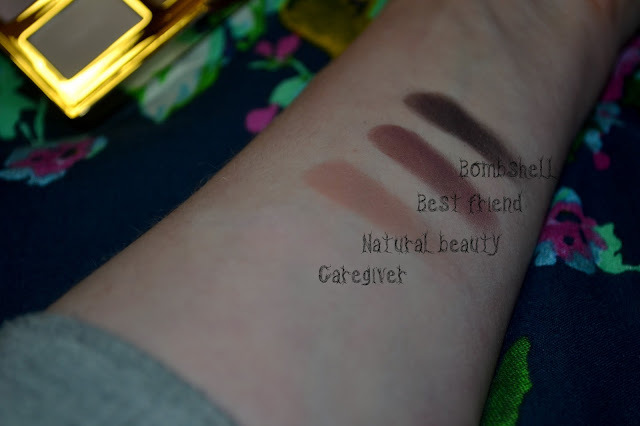 because all these shades are matte it means you can create really natural looking makeup even if its not actually that natural . 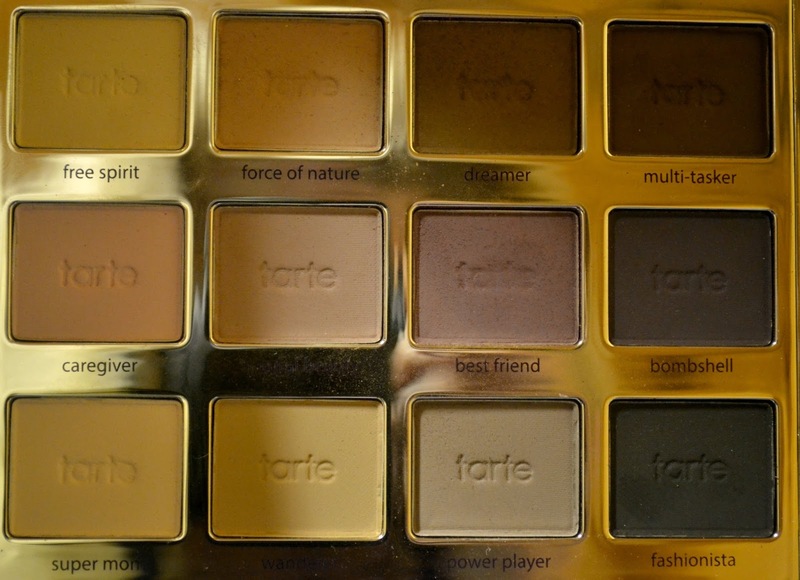 this is the perfect palette for someone looking for the perfect transition colour as well. the colour option in this palette is great having the cooler and the warmer shades it also has some on the more purple side of the rank which I love as like I said before I'm a sucker for purple. This is the top row in the palette and the warmer of the colours, I tend to use these colours almost every day as I love force of nature and dreamer as transition colours and free spirit to blend out colours. 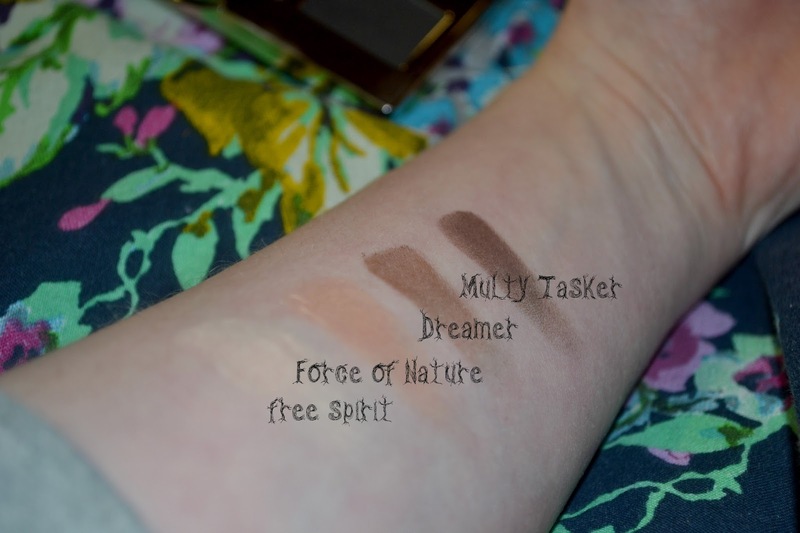 there well pigmented and blend really well. Now the next row is the more purple based colours I'm in love with the shade best friend its like natural but also purple at the same time. I also really like natural beauty because its a grate transition colour. 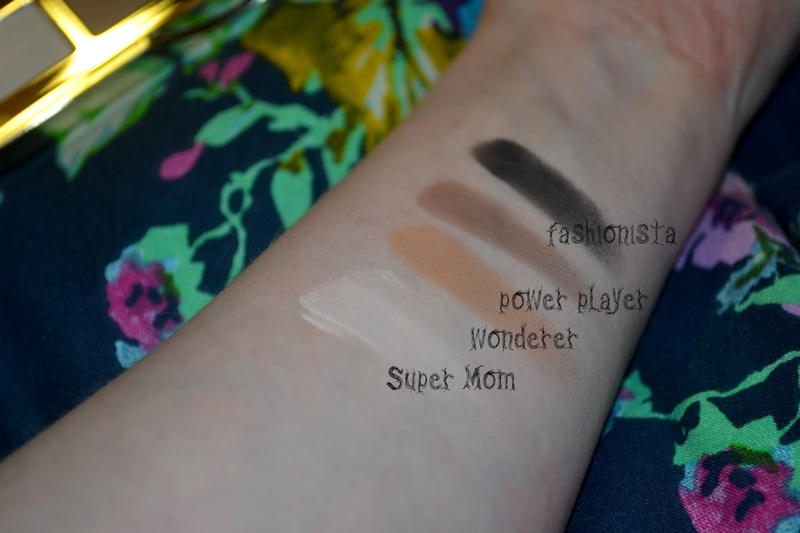 for the final row super mom is my favourite its perfect for blending and for highlighting. power player is also really pretty for the outer corners of the eyes and to smoke out the lower lash line. So all the tarte shades have Amazonian clay in them and there all super pigmented and so easy to blend out, these eye shadows tent to last on my eyes all day with a primer without any creasing or fading which is great as I hate when my eye shadow goes horrid. 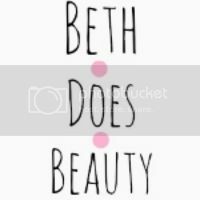 this is a great palette for people that are new to makeup to people that are makeup artists. its a great palette and a new staple to my collection . this palette retails for £32 in the UK but on a special price of £28.92 on QVC at the moment and also comes with a double ended supper soft brush! So at the moment I recommend you grab this palette up as you will not regret it.